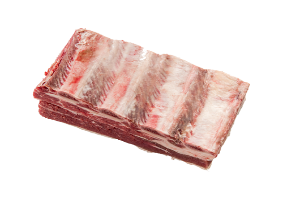 Short ribs comprise the rib bone, intercostal meat and a layer of rib meat and fat. There are numerous ways to butcher ribs, and it is usually determined by the style of dish being prepared. 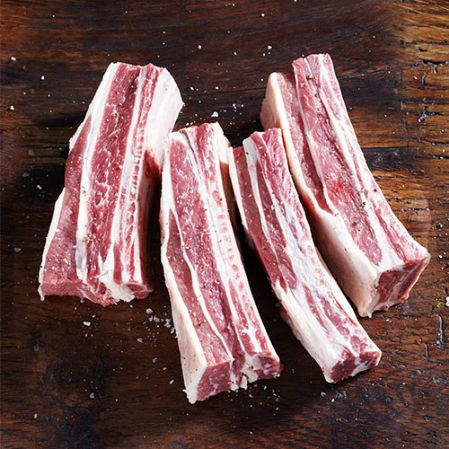 Short ribs are rich in flavour and if prepared properly, very tender. 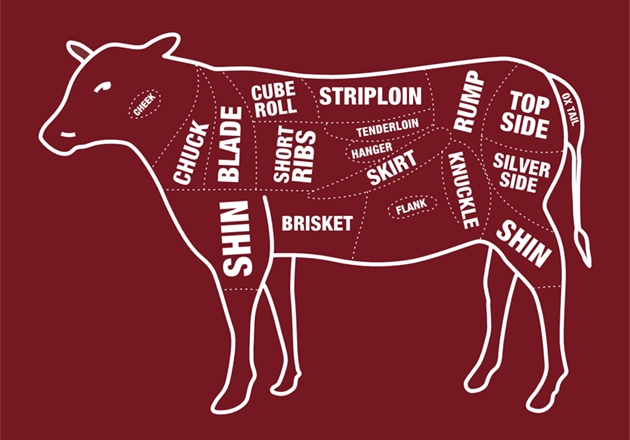 Short ribs are taken from the forequarter after the brisket is removed. They’re made up of the rib bone and layers of rib meat and fat. Simmering the ribs before cooking breaks down the connective tissue, ensuring a tender, moist result. Rich and full-flavoured, short ribs take on flavour well. The length of ribs can be vary depending on the recipe they are used in.